More than any other organ in the body, the heart carries a cultural and metaphorical significance and it has long enjoyed a notable position in our collective conscience. For Aristotle, in the 4th century bc, it was the seat of intelligence and 600 hundred years later Galen considered it the soul. By 1628 the English physician William Harvey, described the heart as a mechanical pump circulating blood around the body. Yet, a metaphysical understanding of the heart persists to this day: we still get to ‘the heart of the matter’; love comes from the ‘bottom of our hearts’; and the brave possess the heart of a lion. I grew up with a heart condition. At a few days old I was already in congestive heart failure and in a world first for an 11-day-old at the time, I was fitted with an implantable pacemaker and diagnosed with complete heart block (Dasmahapatra et al., 1986). Complications were common – early pacemakers were bulky and unreliable, with fragile leads. Much of my childhood was spent at the hospital and by age seven I had been fitted with five pacemakers. These early devices limited my heart to beat at a fixed rate so I turned blue when cold, vomited upon exertion and frequently felt dizzy and tired. In my early teens a first variable-rate pacemaker enabled me to be more active. Soon after, I had open-heart surgery to repair a hole in my heart and I have since required a further five pacemakers. Congenital heart disease (CHD) is the most common birth defect, affecting eight per 1000 live births. The CHD population comprises a heterogeneous group of people born with a structural abnormality of the heart, ranging widely in complexity. While this population is growing fast, it is a success story of modern medicine – around 90 per cent of such babies are now expected to survive into adulthood, compared with just 20 per cent in the 1940s (Warnes et al., 2001). This success story brings with it the many and complex psychosocial risks associated with living with a heart condition from birth. CHD may become part of our identity. Navigating a hidden disability can change our experience of childhood, affect feelings about our body, and impact on our relationships, educational and career choices. It can limit our ability to have children, present concerns for the future and mortality (Morton, 2011; Verstappen et al., 2006). The biopsychosocial impact of CHD can be broad and surprising. 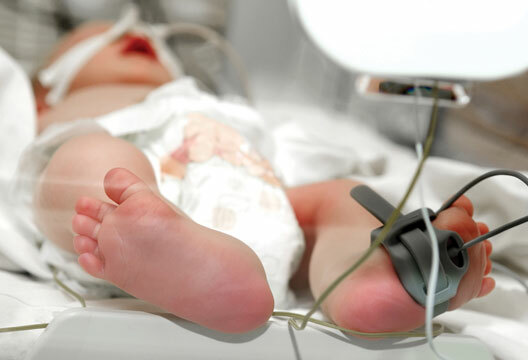 Before the 1980s cardiac surgery was exploratory, and adequate anaesthetic was not always used on neonates, due to limitations in anaesthetic care and a mistaken belief that they could not feel pain. Studies suggest if pain has not been adequately managed, individuals may become hypersensitive to noxious stimuli and more susceptible to psychosomatic symptoms in adulthood (Anand & Hickey, 1987). Early trauma has also been associated with alteration of the hypothalamic-pituitary-adrenal axis, which in turn is associated with an increased risk for other health problems, unexplained somatic symptoms, anxiety and depression (Johnson, 2008). Children born with a heart condition are also at a higher risk of neurodevelopmental and behavioural difficulties. Attachment issues may also develop given the incidence of early maternal separation and difficulties around maternal adjustment to the baby’s condition (McCusker et al., 2010). Further, studies suggest that growing up with an implantable device, such as a pacemaker, can have a detrimental impact on quality of life (Czosek et al., 2012). Nonetheless, there is a silver lining. Recent studies on post-traumatic growth suggest many people also report positive personal change following such adversity. This includes increased resilience, a more positive perspective, a deeper appreciation of life, closer relationships, increased empathy and personal strength. Yet it is not simply the case that there is one set of people who respond negatively to such traumatic events and another set who experience personal growth: these responses may be entwined, making it more difficult to notice the hurt behind the stoicism (Hefferon et al., 2009). Psychologists need to promote emotional healing by ensuring those of us living with CHD feel heard and validated; have the opportunity to share our story; have good social support, strong role models and positive life goals. Feeling empowered to manage some aspects about our health can also facilitate our ability to cope (Hefferon et al., 2009). Given this challenging picture it is understandable that we may, at times, feel down or anxious. Often, there is no need to pathologise such a reaction; understanding and validation may be therapeutic enough. However, in the midst of dealing with physical symptoms it can be difficult to find the time to process these feelings, and adequate support is not always available. This may leave us vulnerable to periods of more serious mental health difficulties, and an increased risk for mood disorders has been reported for this population (Kovacs et al., 2009). If more serious difficulties occur then different therapeutic approaches could aid different presenting problems. Person-centred counselling could facilitate adjustment by helping individuals make sense of their story, make difficult medical decisions and process loss. Cognitive behavioural therapy (CBT) may change unhelpful patterns of thinking and behaviour that have become vicious cycles. Since members of this population report increased sensitivity to heart-focused anxiety, relaxation training could be beneficial (Callus et al., 2010). CBT could also be used to challenge unhelpful core beliefs that may underlie problems with low self-esteem and unhelpful coping strategies (e.g. avoidance or alcohol dependency) (Fennell, 1997; Morton et al., 2012). Interpersonal psychotherapy, a time-limited intervention that focuses on symptom reduction and improving the quality of interpersonal functioning, could offer a further treatment option (Weismann et al., 2000). Studies indicate that loneliness and fear of negative evaluation can predict mood disorders for individuals born with a heart condition (Kovacs et al., 2009). A focus on one of four areas – an interpersonal dispute, a role transition, a grief or loss, or interpersonal sensitivities – can be chosen to tailor therapy to the particular interpersonal crisis that triggered the current difficulties (Morton, 2011). Body psychotherapy could benefit individuals who have been exposed to extensive paediatric medical trauma. During a threatening situation the body reacts by preparing to defend itself through its fight, flight or freeze response. Sometimes, even though the threat is gone, the body is left stuck in this mode, which can cause a number of physical and psychological symptoms, including sleep disturbance, panic attacks, exhaustion, feeling unsafe, and nightmares. Body psychotherapy is an integrated method of therapy that addresses thoughts, feelings, emotions and bodily sensations aiming to help manage anxieties, establish feelings of safety and process traumatic experiences (Rothschild, 2000). In terms of early intervention, a programme including psychoeducation, parenting skills, and narrative therapy have demonstrated a positive impact on infants with CHD and their mothers (McCusker et al., 2010). Systemic family therapy may be beneficial for families impacted by CHD since living with a chronic illness has an impact on the whole family (Callus et al., 2010). An improved understanding of the psychological and emotional experience of living with a heart condition from birth can also help drive improvements in patient care. James Robertson (1958/1970) highlighted the plight of young children in hospital at a time when it was standard practice for parents to only be allowed to visit their sick child once a week. Robertson’s attachment-related descriptions of a child’s response to being left by their caregiver led to a series of recommendations formalised in the Platt Report (Ministry of Health, 1959). Firstly, children’s visiting should be unrestricted. Secondly, there should be provision for primary care givers to stay with all children under five years old. Finally, medical and nursing staff should be trained to understand the emotional needs of children. However, by 1970 Robertson noted there was little improvement in the teaching of medical students about child development, the significance of the attachment bond and the psychological meaning of illness, pain and surgical intervention to a child. These issues may be relevant to some of today’s adult survivors of CHD who grew up during this era. Unfortunately, the first generation of CHD survivors’ care provision has not always evolved in time to meet our needs and many patients are lost to follow-up (Wray et al., 2012). That’s why I have submitted a petition to the Scottish Government calling for National Healthcare Standards in Scotland and to improve awareness about the psychological impact of living with a heart condition from birth. I have also been working voluntarily with The Somerville Foundation, a UK-wide charity for adults living with a heart condition from birth, developing their psychoeducational resources. Our profession has much to offer: it can help us understand our feelings about living with a heart condition from birth, improve coping strategies and the care we receive, help manage any comorbid mood disorders, facilitate recovery and improve general health (DoH, 2011). Where medicine has gifted us life, we may need to look to psychology to heal emotional scars. Anand, K.J.S. & Hickey, P.R. (1987). Pain and its effects in the human neonate and fetus. New England Journal, 317, 1321–1329. Callus, E., Quandri, E. & Chessa, M. (2010). Elements of psychocardiology in the psychosocial handling of adults with congenital heart disease. Frontiers in Psychology, 1, 1–6. Czosek, R.J., Bonney, W.J., Cassedy, A. et al. (2012). Impact of cardiac devices on the quality of life in pediatric patients. Circulation: Arrhythmia and Electrophysiology, 5(6), 1064–1072. Dasmahapatra, H.K., Jamieson, M.P., Brewster, G.M. et al. (1986). Permanent cardiac pacemaker in infants and children. Thoracic Cardiovascular Surgery, 34, 230–235. Department of Health (2011). No health without mental health. London: Author. Fennell, M.J.V. (1997). Low self esteem: A cognitive perspective. Behavioural and Cognitive Psychotherapy, 25, 1–26. Hefferon, K., Grealy, M. & Mutrie, N. (2009). Post-traumatic growth and life threatening physical illness. British Journal of Health Psychology, 14, 343–378. Johnson, S.K. (2008). Medically unexplained illness: Gender and biopsychosocial implications. Washington, DC: American Psychological Association. Kovacs, A.H., Saidi, A.S., Kuhl, E.A. et al. (2009). Depression and anxiety in adult congenital heart disease: Predictors and prevalence. International Journal of Cardiology, 137, 158–164. McCusker, C.G., Doherty, N.N., Molloy, B. et al. (2010). A controlled trial of early interventions to promote maternal adjustment and development in infants born with severe congenital heart disease. Child: Care, Health and Development, 36(1), 110–117. Ministry of Health (1959). The welfare of children in hospital (Platt Report). London: HMSO. Morton, L. (2011). Can interpersonal psychotherapy meet the psychosocial cost of life gifted by medical intervention? Counselling Psychology Review, 26, 75–86. Morton, L., Roach, L,. Reid, H. & Hallam Stewart, S. (2012). An evaluation of a group for women with low self esteem. Behavioural and Cognitive Psychotherapy, 40(2), 221–225. Weismann, M.M., Markowitz, J.W. & Klerman, G.L. (2000). A comprehensive guide to interpersonal psychotherapy. New York: Basic Books.